Feeding my OCD/sodoku side today with a mindmap of Alvin and Heidi Toffler’s book Revolutionary Wealth. It’s a bit dense but worth reading. 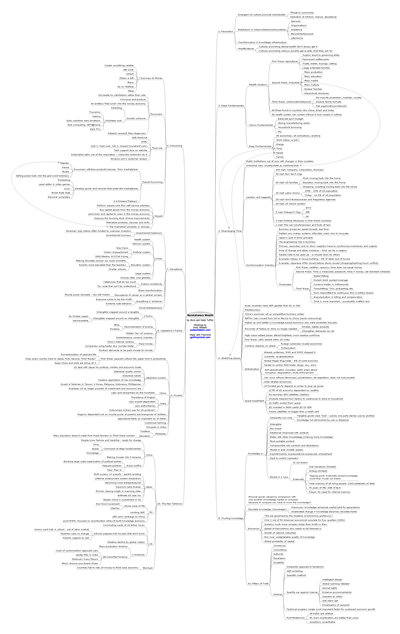 Grab the mindmap (it’s big and you may have to use your browser’s magnify function). Revolutionary Wealth Mindmap (PNG format, 661 KB). This entry was posted in General on June 15, 2006 by Sharon Sarmiento.